Whether you’re heading in or out of Boston’s Logan International Airport, you’re always looking for the best, easiest and most cost effective way to the airport. You can ask a friend, but seriously, friends don’t make friends drive them to the airport. So what are the options? Drive and park is an obvious option, but it’s not exactly easy. When you park at the airport for 24 hours and 1 minute the rate is $41, then you pay $27 for each additional day. It adds up pretty quickly. Plus you get to deal with the angst of driving in traffic, finding a place to park and then schlepping yourself and your luggage to the right terminal. When you get back you get to play, “find my car” in the maze of parking spaces. It can be a major hassle. Parking is only $7/day and your round trip fare is $22. Not a bad option cost wise. However, you do have to get to the bus early, wait up to 30 minutes, drive in circles around the airport, stopping at every terminal and then drag your luggage on and off the bus. If you have the time and energy, it’s a viable option. Once you hail a cab outside the airport, the driver will often charge you a flat rate. Well the flat rates aren’t regulated by the city. And to complicate things, different cab companies charge different flat rates. You don’t know what the fee will be until you get in the cab. Sure we’re biased, but the fact is we quote one all-inclusive flat-fee based on the driving distance. We give you a rate that includes the fuel surcharge, the tolls, the Massport fee and the recommended gratuity to the driver. We also let you know if early AM fees apply. We admit it, it might cost a little more to hire us, but you can relish the stress-free ride to the airport. 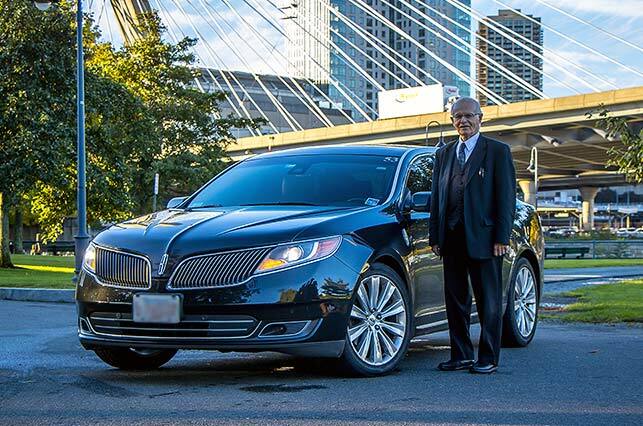 Enjoy the comfort our just-cleaned corporate sedans, SUVs and limousines. Plus you get a professionally-trained chauffeur who will treat you with respect. Your diver will be waiting for you at the airport and load your luggage for you. No cab line, no surprise costs, no smelly taxi, no stress. Maybe it’s time to consider our flat-rate services to and from the airport. We offer an elegant option for airport transportation. Our goal is to help you return to an era of unparalleled luxury. Call us we’ll give you a quote 508-842-4790.